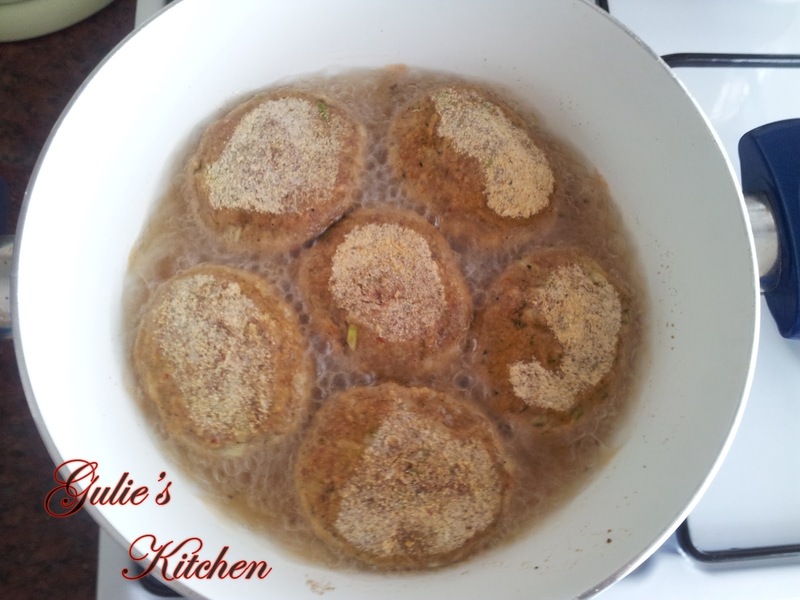 Again I was cooking meatballs. 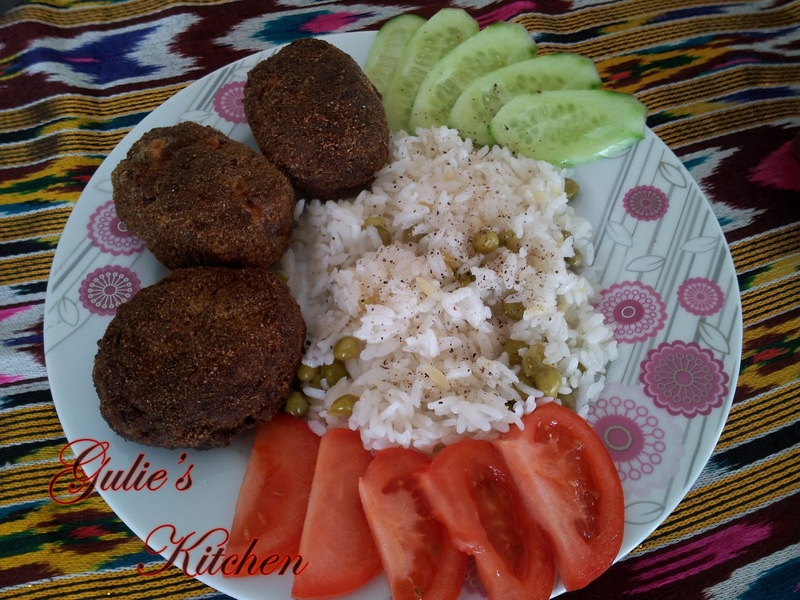 But this recipe is special :) Cutlets by my way, with a little surprise inside - with a cheese. 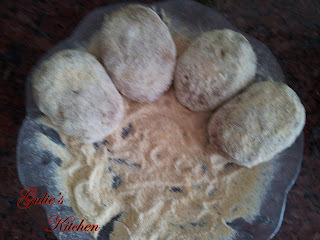 And one more important detail, I am baking them in the oven instead of frying. 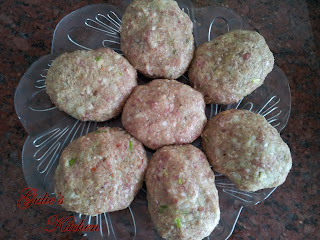 For the cutlets: ground beef, onion, a little bread soaked in milk, 1 egg, spices, salt and garlic. Mix all ingredients. 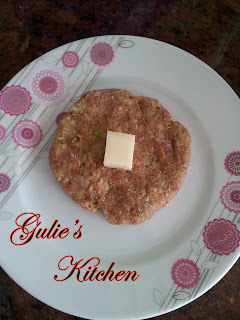 I prefer to "beat" every cutlets. For what? To make mincemeat become more plastic, it is necessary to "beat" - to pick up and throw into the cup. And several times. Then, to form a patty from meat and in the center put the cheese. Put them into the pan with a well-heated vegetable oil and fry on both sides over high heat until browned crust. 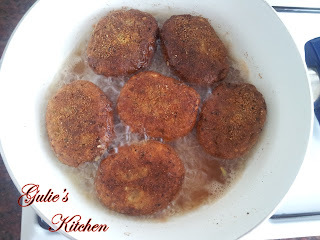 This frying is necessary just for the "stamp" cutlets, for the getting crust. 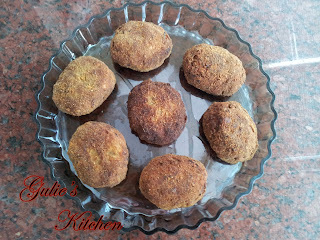 Frying at high temperature does not allow oil to get into the cutlets they serve only to the rouge and crispy crust. Then put cutlets into the greased oven glass plate or baking sheet. And bake at 200 ° C for 20 minutes. Garnish choose at your discretion. 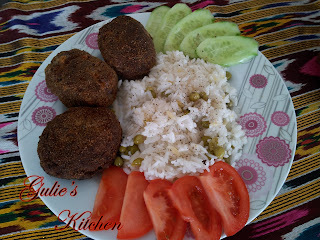 Mine is pilaf with green peas.